Argentina will meet Iraq in Riyadh on October 12 and Brazil in Jeddah four days later. Lionel Messi’s leave of absence from Argentina’s national team will extend to at least November, the Albiceleste’s interim coach Lionel Scaloni has said. 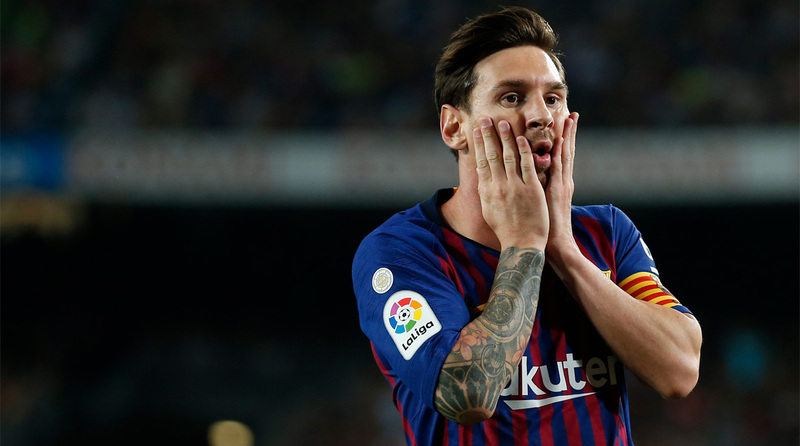 Speaking to reporters at FIFA’s The Best awards ceremony in London on Monday, Scaloni said Messi would not return for friendlies against Iraq and Brazil in Saudi Arabia next month, Xinhua news agency reported. “Messi won’t be called up. I have spoken with him and it’s best that he doesn’t come back for now,” said Scaloni, who was appointed caretaker manager after the July sacking of Jorge Sampaoli. Argentina will meet Iraq in Riyadh on October 12 and Brazil in Jeddah four days later. The two-time World Cup winners will then play their final matches of 2018 during FIFA’s November 12-20 international friendly window. Messi was left out of Argentina’s squad for friendlies against Guatemala and Colombia earlier this month, having requested a break from international football following the team’s erratic World Cup campaign. Argentina were eliminated in the round of 16 in Russia by eventual champions France, with Messi scoring just once in four matches.